The face of the University of Miami football program in the mid-1950’s, Don Bosseler was as familiar to Hurricane fans as Elvis was to teenage music lovers and James Dean was to movie buffs. From Wethersfield to south Florida to the NFL, Don Bosseler left an impressive list of achievements in his wake. A product of Batavia High School, Bosseler went on to become a four year starter at Miami and served as a team captain, while rushing for 1,642 yards. He was a first team all-American in 1956 (Jim Brown and Johnny Majors were also in that backfield) and was named MVP of the Senior Bowl when he rambled for 187 yards. Miami was 8-1-1 during his senior year and ranked sixth in the country. To top things off, the “Bull” also started at linebacker and led the Hurricanes in tackles. 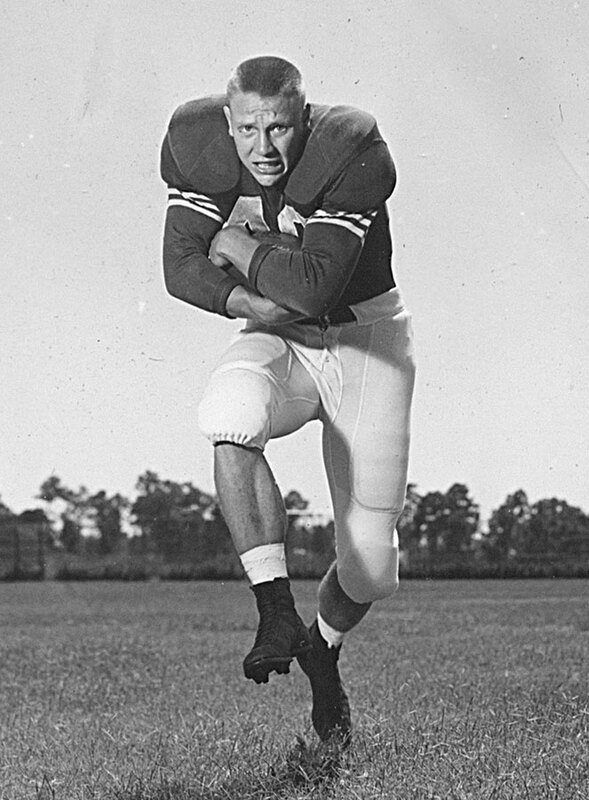 Bosseler was drafted with the ninth overall pick in the 1957 NFL draft with legends Paul Hornung, Jon Arnett, John Brodie, Ron Kramer, Len Dawson and Jim Brown being selected just ahead of him. A Pro Bowl pick in 1959, Bosseler was voted one of the 80 Greatest Redskins of all time. During his eight seasons and 96 games in Washington, Don rushed for 3,112 yards and 22 touchdowns. Upon his retirement, he became a Vice-President of Prudential Bache. He currently resides in south Florida.